I know, I know, you don’t have to shout! I’ve been pretty terrible at publishing my videos haven’t I? It’s been an intense couple months though, hasn’t it. I’ve jumped from Indonesia to Jordan, then back to Southeast Asia with a week in Singapore (which is documented in the video). Then, after popping up to Vietnam for a bit we headed for a 10-day photography assignment in Oman. Finally, we’re back in Thailand enjoying a bit of Songkran. And by enjoying Songkran I mean that we’re stuffed up in a hotel room eating day-old sushi and listening to fireworks and party noises through the open window. Oh, but the love of travel, that’s why we do this. It’s amazing isn’t it? It’s phenomenal how we can jump from one culture to another, from one climate back again, all in just a matter of weeks. Travel messes with you so much, and it can either make you mad, or push you to explore more. I feel like I’m at the stage again where all I want to do is explore, I want to climb mountains, watch sunrises, and I want to find myself completely and pathetically lost. It took a couple months of tame, predictable travel to get me here though, and Singapore was the start of it. 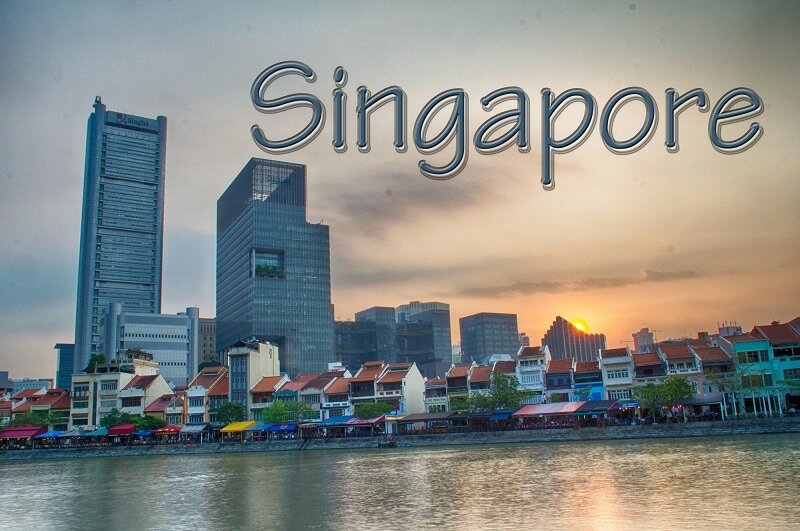 In Singapore, I reveled in the simplicity, organization, and ease of life. I spent my time testing new foods at the hawker street stalls without the worry of ending up at my toilet-side sick. It was glorious for a week. But at the end of it all, I remembered that as fun as a place can be, in the industry of travel writing, you need misadventure to build readerships. Singapore is not the land of misadventures. Still, Singapore was an experience I quite enjoyed, and truthfully I wouldn’t mind spending a couple more weeks bathing in the ease of life in one of the world’s cleanest cities.